Access Movement Lab by keying in the login details to access Qinematic services. 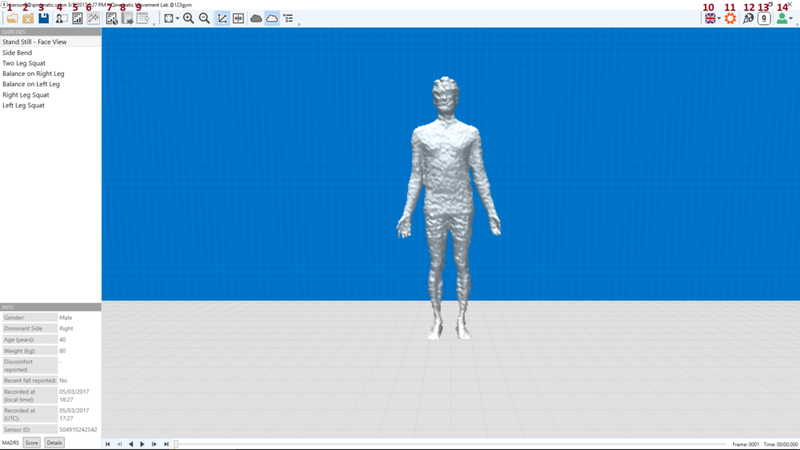 Icon 1 to open scan data of an individual based on the identification detail provided by the individual. Icon 2 to close the scan opened. Icon 4 to show the animated feedback for an individual scan that is opened. Icon 5 to access the summary report in PDF form, suitable for export, saving and sharing. 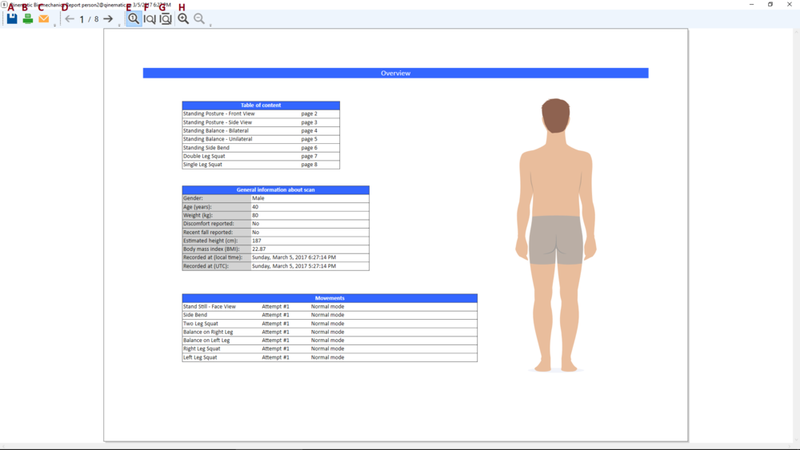 Icon 6 to access the Biomechanics report in PDF form, suitable for export, saving and sharing. Icon 7 to open the summary report on the Note platform. Icon 8 to export Bio-mechanics Report point data of an individual scan to a local computer. Icon 9 to export tracking point data from the region of interest (ROI) of an individual scan to the local computer. The 3D video can be changed in various ways. Icon 11 to change the settings of the Movement Lab system. Icon 12 to update the Movement Lab software. It is advised to update the software on a regular basis. 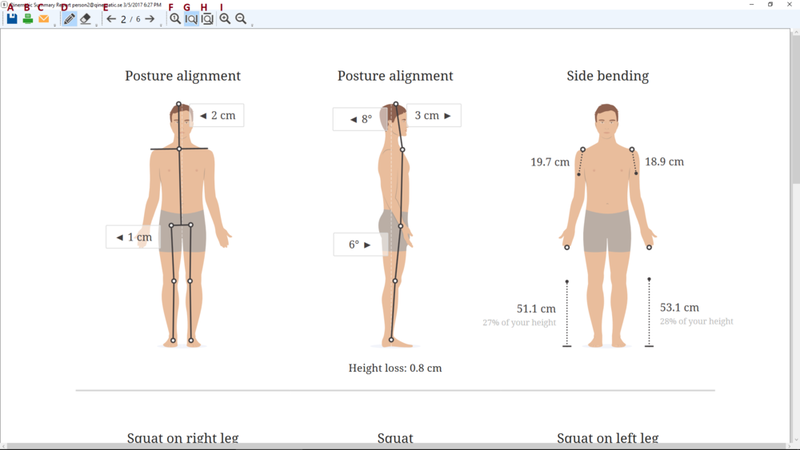 Icon 13 to view the information of the current version of software, the name of the cloud library and the names of third party software associated with Qinematic Posture Scan software. Icon 14 to view the Authenticated Provider that is logged in. The drop-down button shows the ID of the provider and organisation that the Provider belongs to. Icon 14 to recover the drop-down button and sign out from the software.